Seaport Capital (Seaport), a middle-market private equity firm, is pleased to announce the purchase of the equity units of FTJ FundChoice LLC (FTJFC or the Company) of Hebron, Kentucky. Jordan Knauff & Company served as exclusive advisor to FTJFC in this transaction. FTJFC provides a technology enabled, fee-based mutual fund trading platform which allows investment advisors to improve the efficiency and profitability of their investment advisory practices. Their trading platform consists of the software and services through which accounts are monitored and trades are placed on behalf of investors. FTJFC’s client base consists of investment advisors who, in turn, serve the needs of their retail clients. The Company has positioned itself as a high quality investment management and recordkeeping service, which allows its advisor clients to focus on client relationships and gathering assets, rather than performing back office and administrative functions on their retail clients’ accounts. Seaport Capital (Seaport) is a value-based, active investor that focuses on private companies with market capitalization between $10 and $100 million and junior capital needs of $5 to $25 million. Seaport works with talented management teams to create valuable companies that are leaders in their market segments. Seaport maintains a long-term approach focused on generating high investment multiples for its investment partners and its portfolio company management teams. For additional information, visit www.seaportcapital.com. 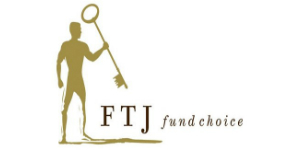 Jordan Knauff & Company (JKC), an investment bank in Chicago, Illinois, served as exclusive financial advisor to FTJ FundChoice LLC in this transaction. JKC is a knowledgeable and experienced provider of a comprehensive line of investment banking services to private companies. Services include mergers and acquisitions advisory, capital formation, and strategic financial advisory services to companies in a variety of industries. Typical transaction sizes range from $10 million to $300 million in total consideration. To learn more about Jordan Knauff & Company, please visit www.jordanknauff.com or contact Mr. G. Cook Jordan, Jr. at 312-254-5901.